Step right up with your bag of nickles! 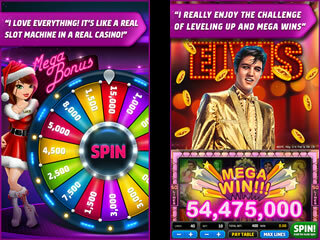 The fun and excitement of Los Vegas’ slot machines has come to the facebook universe. This cute little social networking game gives you some free coins to start off with which you can play with to build your way up. 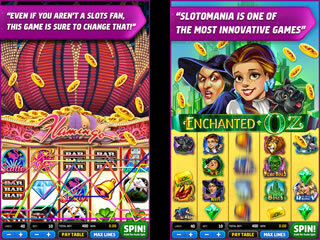 At the beginning, Slotomania only gives you one slot machine that you can play with, but with time and experience, you can get more. There is an adjustable setting that will let you risk more to win more… or lose more! You won’t know till you give the slot a whirl. Slotomania ensures you lots of colorful fun that will keep you feeding quarters for hours. The gameplay itself is free, but if you’d like, you can spend real money and get some more coins to play along with. At the beginning, Slotomania only gives you one slot machine that you can play with, but with time and experience, you can get more. Each machine comes with its own theme. Appropriately, the first of the facebook slot machines has a farm theme, which is great because facebook and farm games have a long history. The colors are bright, cute, and friendly in Slotomania. It doesn’t have the tacky feel to it that other gambling games have, that make you feel like you need to cover your drink to avoid getting cigar smoke inside just because you walked by someone who was playing. It’s good clean fun. Check it out for yourself! This is Slotomania review. Download this game here.